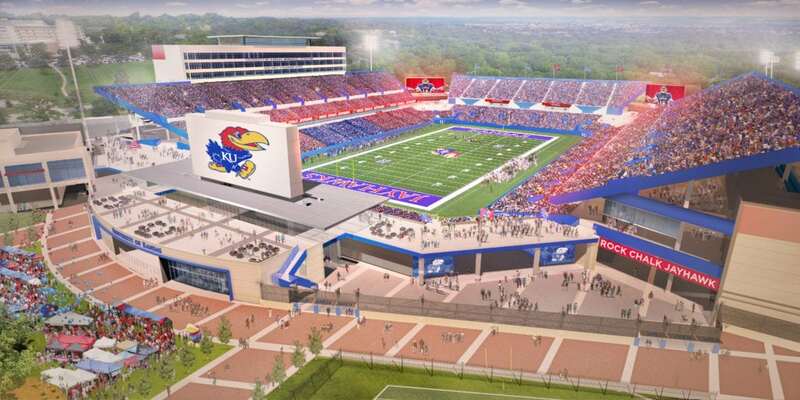 Rendering of the University of Kansas football stadium, at completion of renovation project. The search committee, multiple people who would know have told me, recommended University of Kansas Provost Neeli Bendapudi as successor to Chancellor Bernadette Gray-Little, but the regents went with their own choice, Douglas Girod. 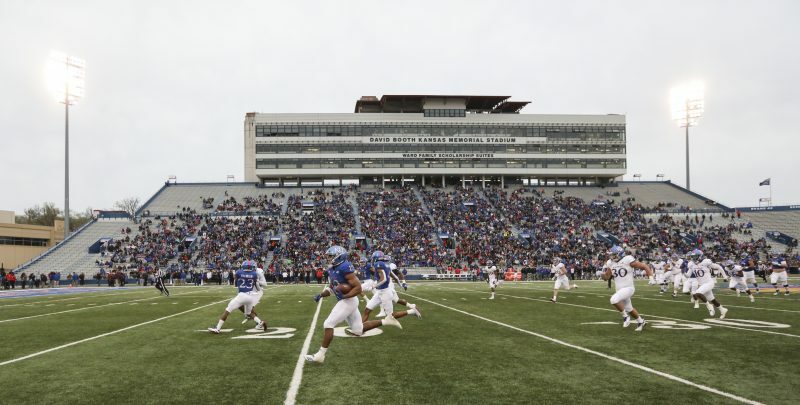 Right out of the chute, Girod announced a Kansas Athletics’ capital campaign to raise $350 million for athletic facilities, $300 million of which would go toward renovations of David Booth Kansas Memorial Stadium. Based on that, it appears Kansas has a chancellor who understands the value a successful football program can bring to a university. Yet, the same chancellor who kicked off the campaign decided to leave in their positions an athletic director whose six years of football coaching hires have produced a 10-62 record and a head coach who is 3-33 in three seasons. A head-and-neck surgeon, Girod gathers all the information, and ponders all the options before moving forward. That seems to be the best explanation for why Girod didn’t hit the reset button with a new AD and football coach. 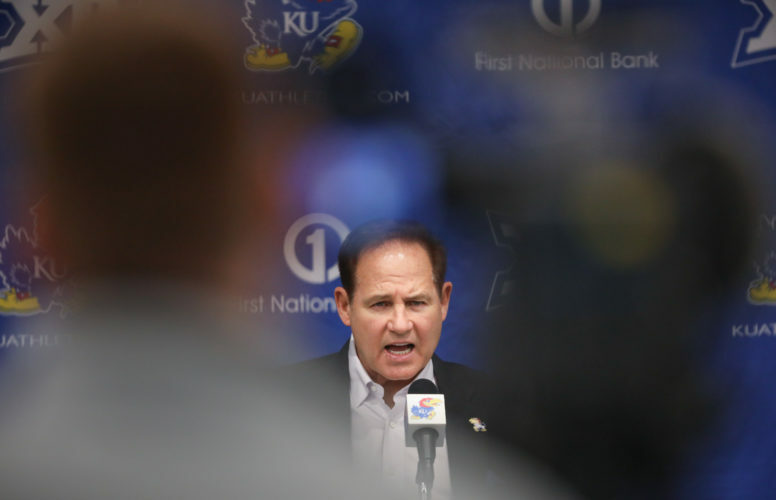 KU is in an eight-year football slump since the forced resignation of Mark Mangino. 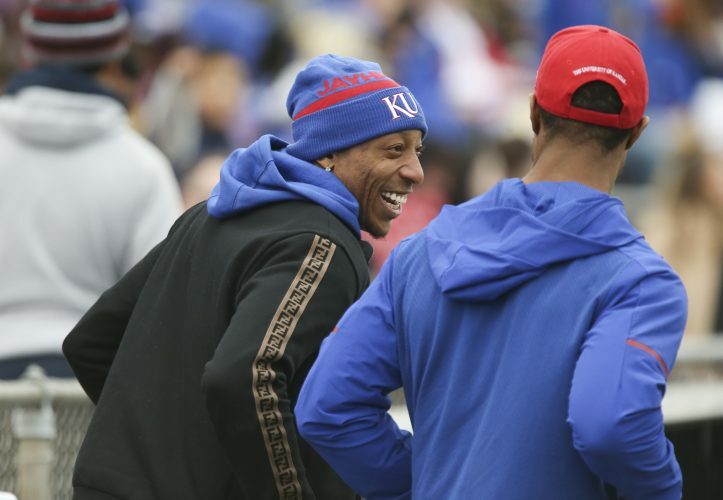 It was a two-year mistake, because if the right replacement had been hired, by the end of the 2018 season, KU would be one year into a recovery, or in a seven-year hole. Instead, it will be in a nine-year hole, unless Beaty shows significant progress this season. It’s a horrible time to try to raise money for improvements to a football stadium. Then again, when Baylor football coach Art Briles asked university president Ken Starr for a new football stadium, reportedly at a party June 1, 2010, Briles was entering his third season in Waco and the Bears had a streak of 14 consecutive losing seasons. Somebody has to do the asking for Kansas and that somebody is Matt Baty, head of the Williams Fund, fundraising arm of Kansas Athletics. Baty fell back on tired, broken crutches during a podcast interview in December, defending the athletic department’s decision to stay with the football coach. You know, firing coaches hasn’t worked in the past, so they’re going to give this one time, the “local papers” are making it tough for Beaty to recruit, etc. For now, let’s look at what he did this week. I had heard he met in Scottsdale, Ariz., with some of the university’s biggest donors, which he prefers to refer to as “shareholders.” I was told there were multiple billionaires (with a capital B) in the room. “Investment-first strategy, that’s the message,” Baty said by phone Thursday. 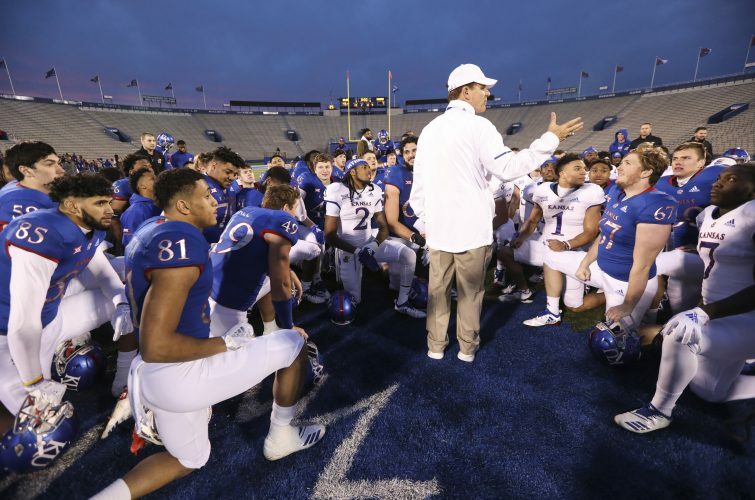 Meaning, Kansas can’t wait until it becomes competitive on the field to begin stadium improvements. He tried to convince a room full of outrageously successful businessmen that the school is more committed to football than at any time in its history — a tough sell when the product on the field is so diluted that injuries to the offensive line prohibited a spring game from taking place. 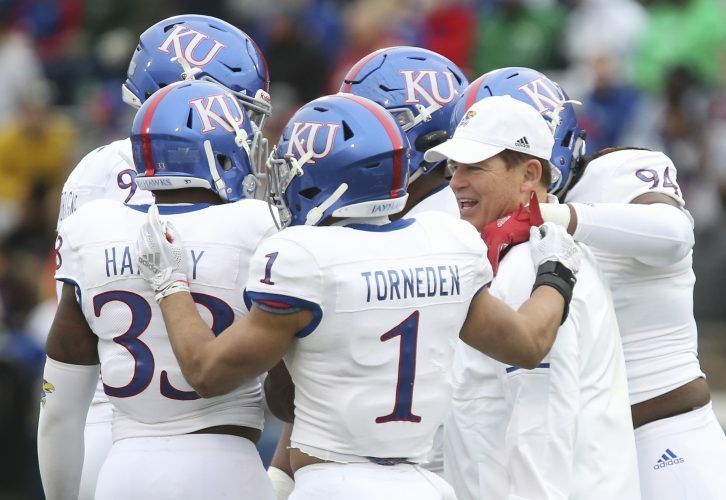 Baty also makes part of his message that in order to protect KU’s conference affiliation, Kansas needs to get up to speed in football in all ways. He’s right about that, of course. As if firing the wrong football coach for the job is the problem and not the failure to hire the right one in the first place. Baty would be better served to let Zenger answer for his decisions. It wasn’t Baty’s finest hour, but he was one of the better hitters in recent KU baseball history. Good hitters don’t let an 0-for-4 day at the plate send them into a shell. He’ll keep plugging away at the second-most difficult job in the athletic department, ranking behind only coaching the offensive line. To hear the entire Baty podcast or to read other quotes from it, click on my “Lunch Break” blog on KUsports.com.